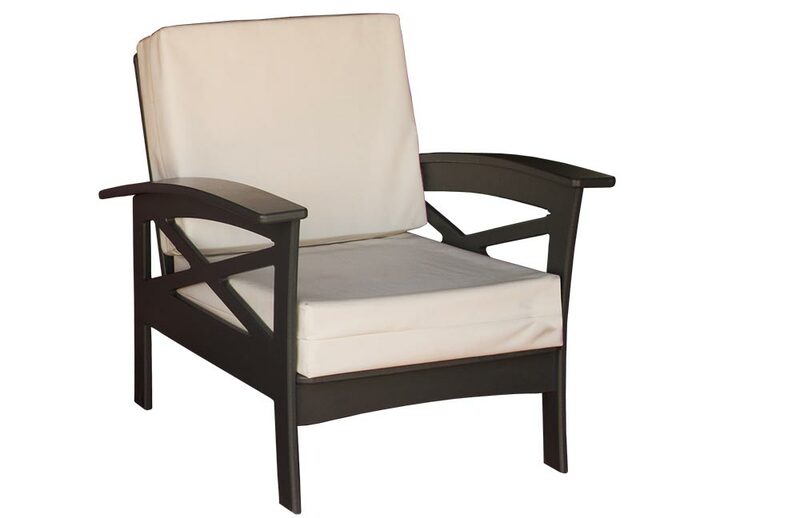 Comfortable and weather resistant cushions covered with Sunbrella® outdoor fabric. Curved Armrests. 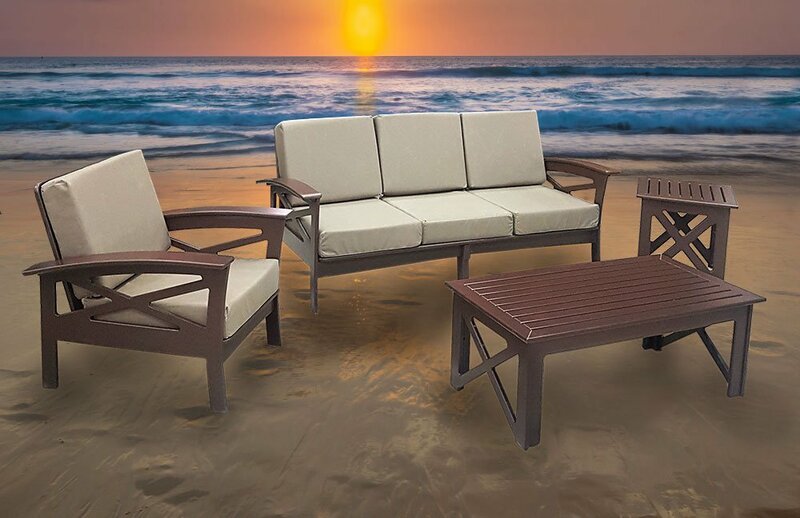 Comfortable and weather resistant cushions covered with Sunbrella® outdoor fabric. Curved Armrests. Seats 2 people. 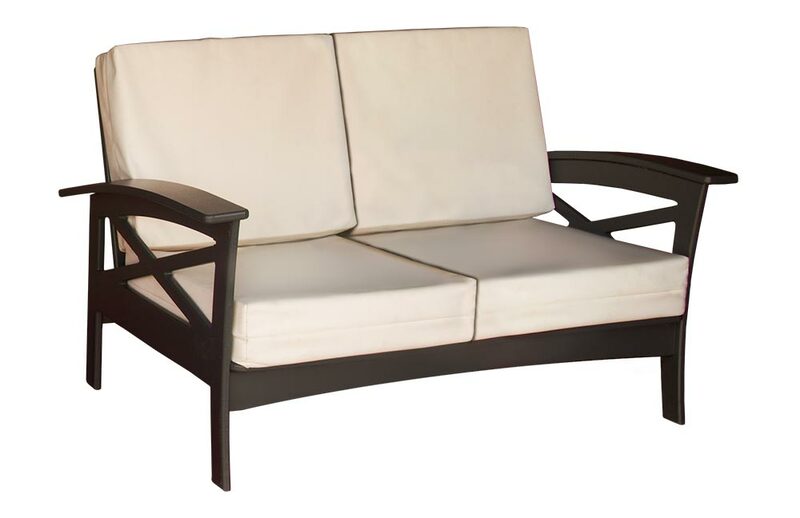 Comfortable and weather resistant cushions covered with Sunbrella® outdoor fabric. Curved Armrests. Seats 3 People. 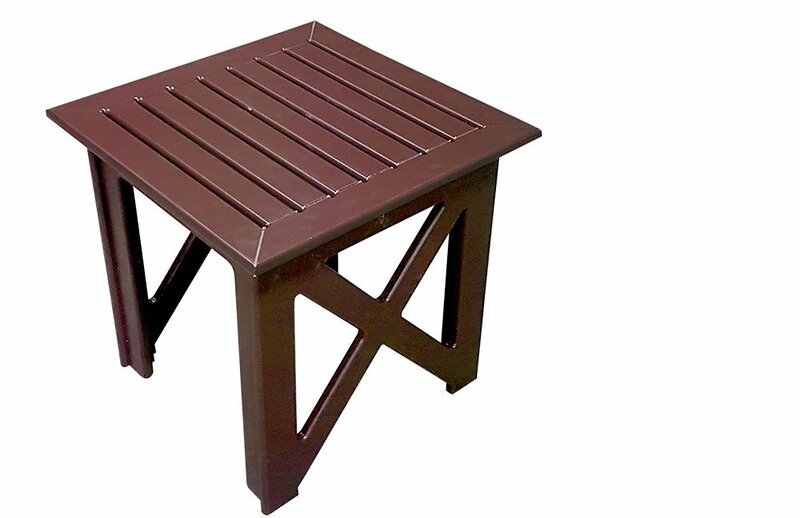 36" Tempered glass side table for deep seating set. 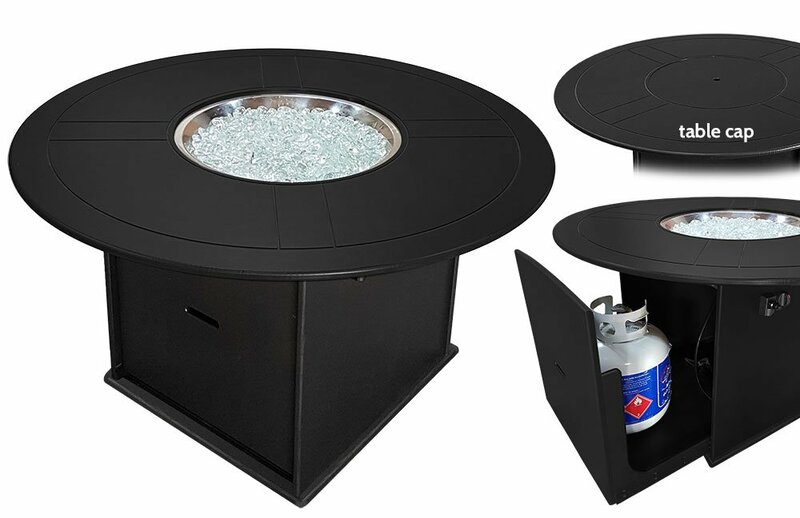 Stainless steel burner, with gas conversion kit. 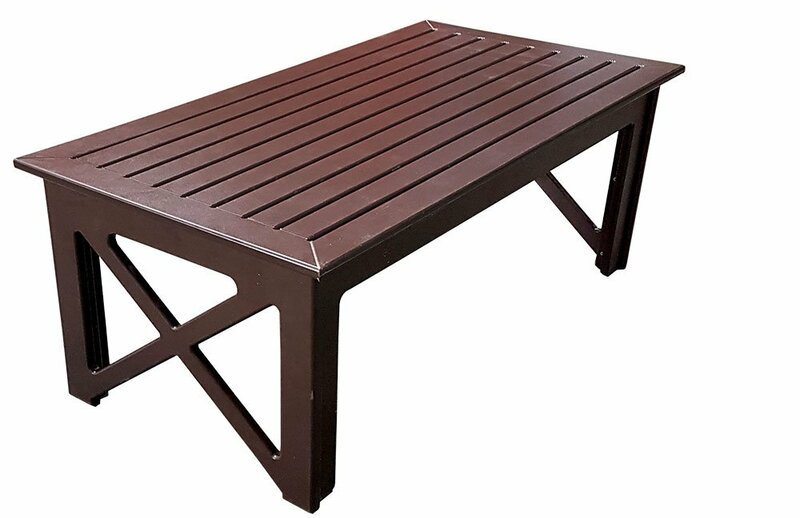 Upholstered with Sunbrella® outdoor fabric, 3/4" solid plastic and all stainless steel hardware. Available colours: Black, Chocolate Brown, Tan, Grey, White. 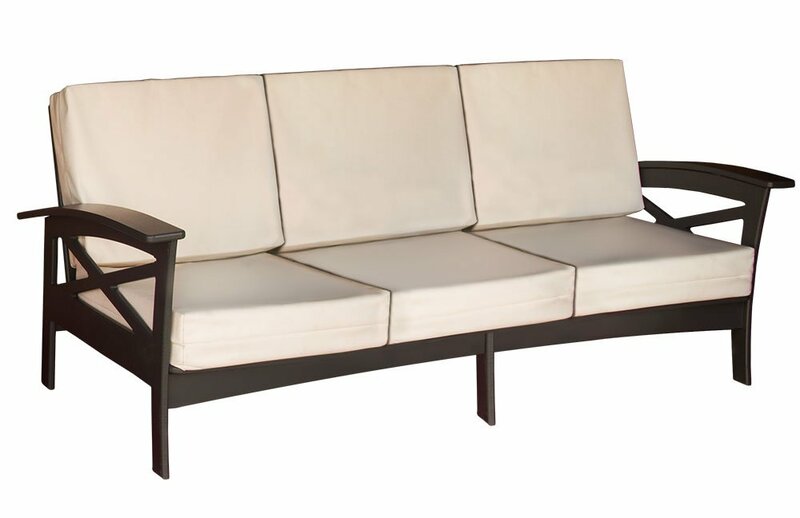 Sunbrella® outdoor fabric available in white, taupe and black. 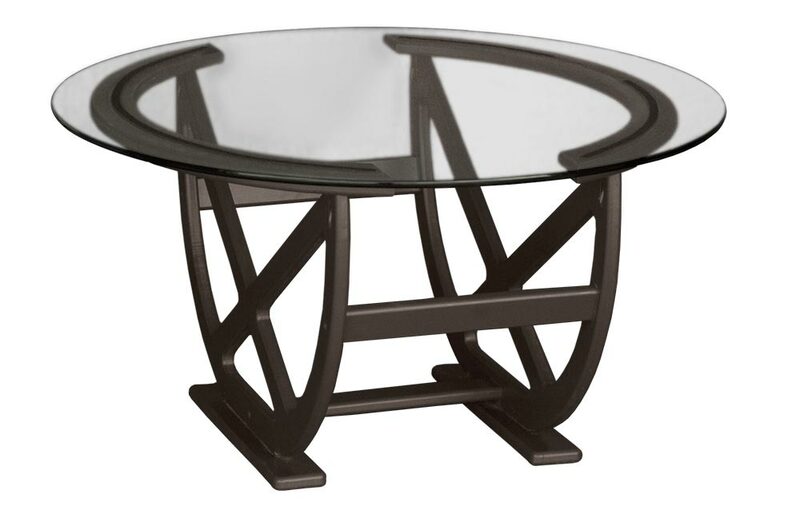 45" x 23" rectangular coffee table. 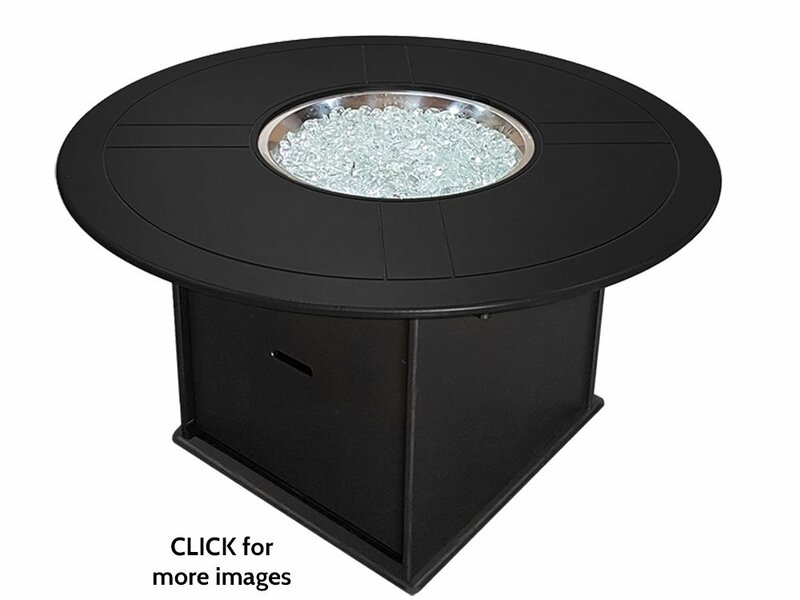 20.5" square end table for drinks and snacks.